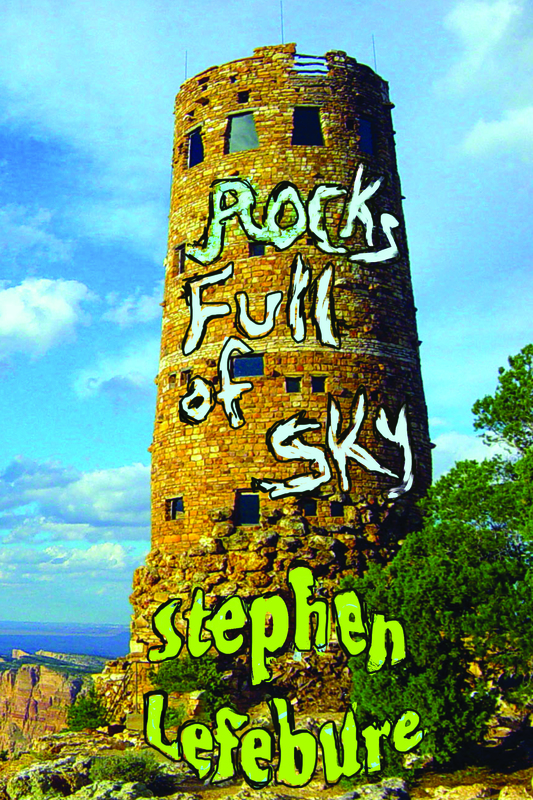 Rocks Full of Sky ($15 – Click to Purchase, ISBN: 978-1-937536-39-8, Hardcover ISBN: 978-1-68114-153-4, LCCN: 2013934576, 6X9″, 88pp): is a collection of incantatory poems exploring landscape, wildness, and the human spirit. Schooled in traditional forms of rhyme and meter, Stephen Lefebure writes poetry wide open to the vastness of the American Southwest, and to metaphysical suggestion, the tides of time, and the elusive image of eternity as well. The spell these poems cast persists far beyond the moment of their reading. Stephen Lefebure’s poems have appeared in many literary and environmental publications, including Birmingham Poetry Review, ISLE, Kansas Quarterly, Weber Studies, Wilderness Magazine, and the anthology Wild Song: Poems of the Natural World. Nine of his poems has been nominated for a Pushcart Prize, and one, “Arches,” was set to music by a classical composer. Lefebure lives and writes in Evergreen, Colorado, and travels widely in the U.S. and abroad.